The original right-of-way leading into Tracy from the Bay Area via the Altamont Pass was built back in 1873 by the Central Pacific as part of the Transcontinental Railroad linking California with the East Coast. 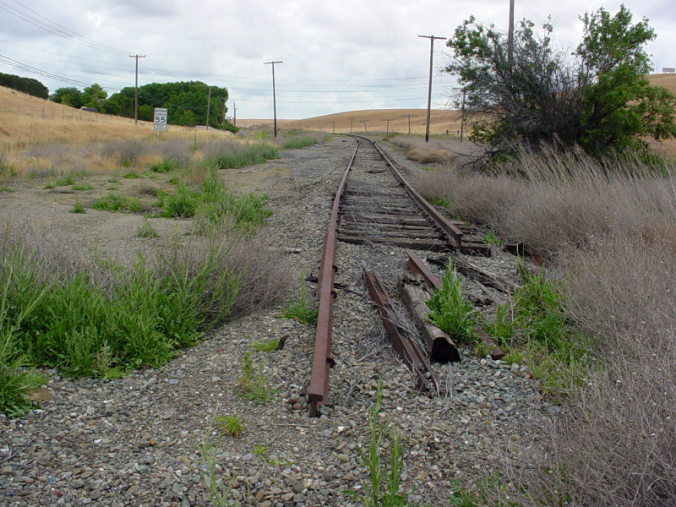 Trains traveled in and out of Tracy from the railyards near downtown, along old Schulte Road through the original site of the Ellis coaling station, then curving up toward the foothills to Midway and Cayley, then on to the summit at Altamont. For decades, oil from Kern County was transported by rail in tank cars (appropriately dubbed “oil cans”) to this Associated Oil storage facility in Tracy, which served as a way station as the oil traveled to Port Costa. In the aerial photo from 1926 (shown above and below), the tracks heading to the right are part of the Mococo Line, which is now a seldom-used single track that extends up through Byron and Brentwood into Antioch and Pittsburg. In the distance, just right of center in the photograph is an oil reservoir (also known as the “Gravel Pit”), which was located approximately where Alden Park is today. A 1926 aerial view of the Associated Oil tank farm in Tracy. Click image for enlarged view. The Mococo Line was fundamental to the creation of the city of Tracy, which was founded in 1878 when the nearly fifty-mile-long line was opened between Martinez and here. 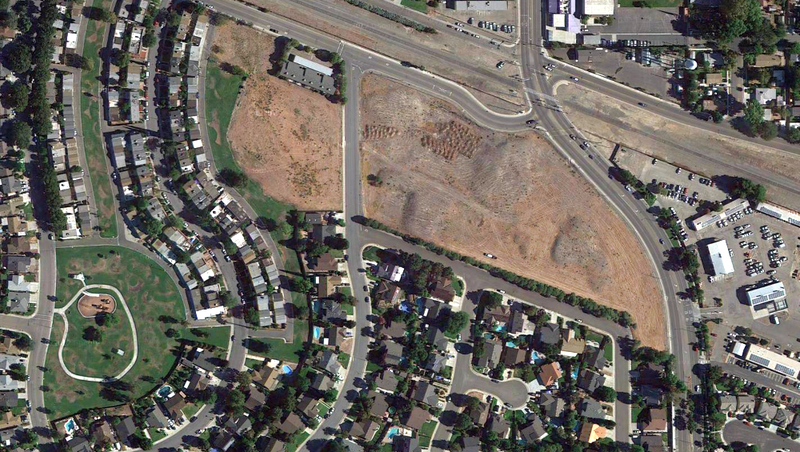 All that currently remains of this facility today is a group of hillocks at the corner of Tracy Blvd. and Beechnut Avenue, across from the city’s corporation yard. ABOVE: An excerpt from a 1955 USGS map of Tracy, showing the tank farm area. Note that the current Tracy Boulevard, previously known as Oil Road, did not extend across the tracks here at this time. ABOVE: A Google Earth aerial view of the Tank Farm area as it appeared in 2013. Tracy Blvd. curves from top to bottom at right, with Alden Park in the lower left corner. ABOVE: A typical Associated Oil tank car. The San Francisco-based company used “Tidewater” and “Flying A” as brand names.